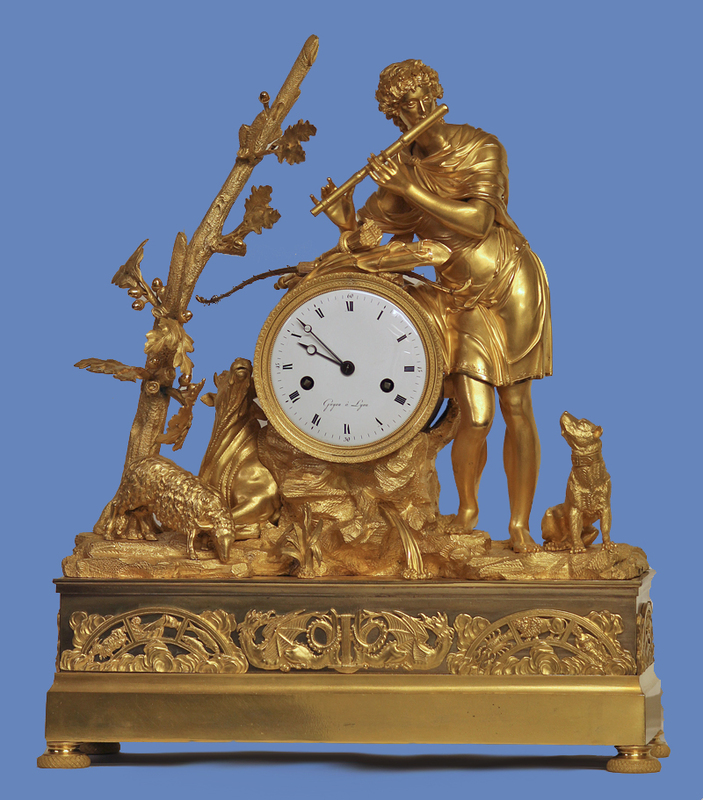 c.1820 French Ormolu Mantle Clock Depicting Orpheus. 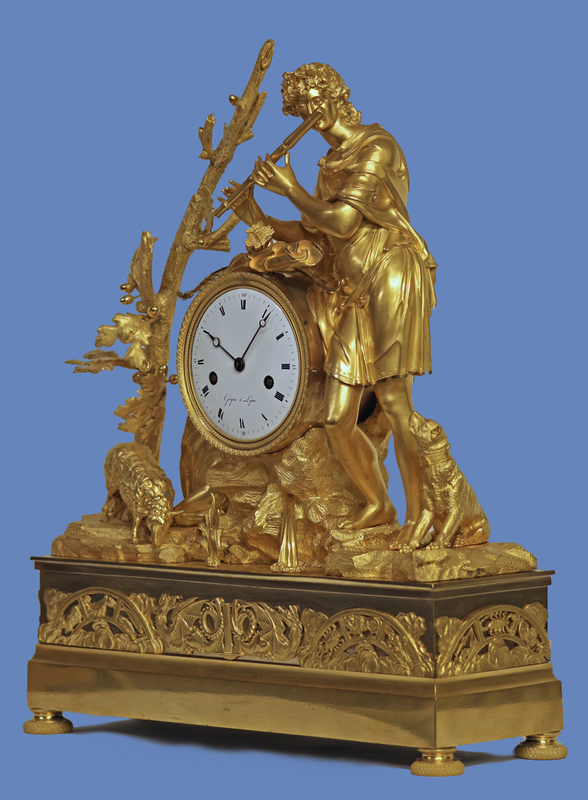 The well-cast and finished ormolu case depicts a large male figure, Orpheus, standing on rockwork while leaning on the clock and playing the flute. 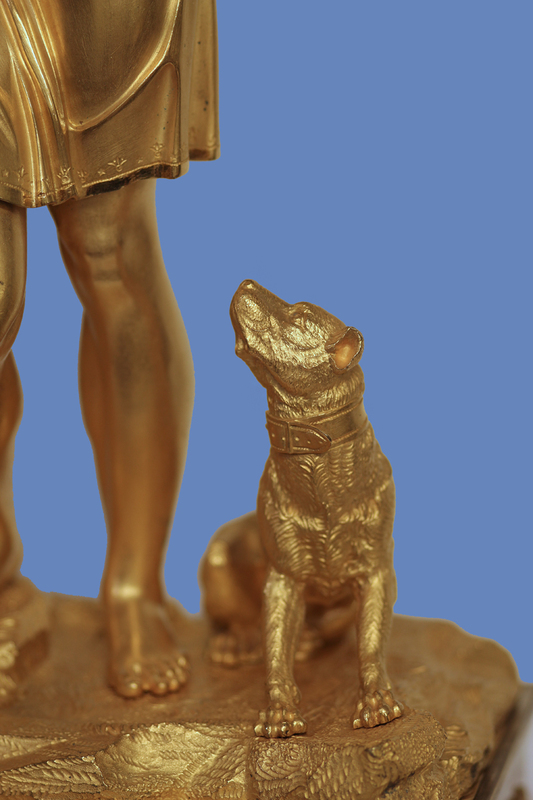 He is surrounded by several animals including a cow, sheep and dog and the whole stands on a rectangular base with appliques that include winged dragons and the zodiacs. 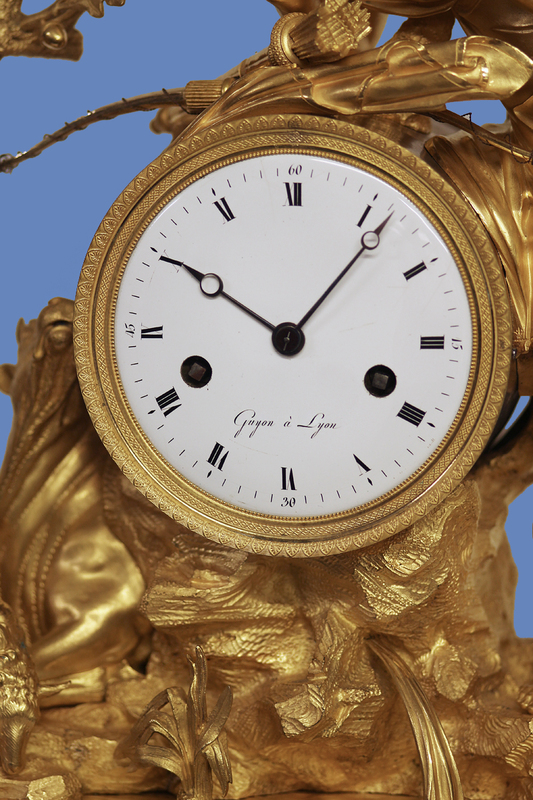 The well-lettered white porcelain dial has black Roman numerals for the hours, a cast ormolu bezel, steel-cut hands and is signed ‘Guyon à Paris’. 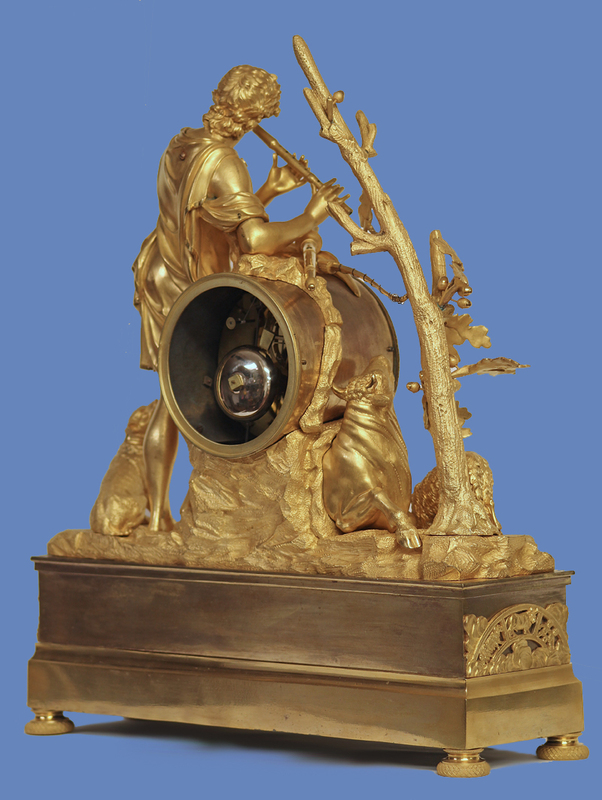 The large eight-day time and strike movement has a silk-thread suspension with the fast/slow off the back, nicely cut and finished wheelwork and count-wheel striking on a bell. 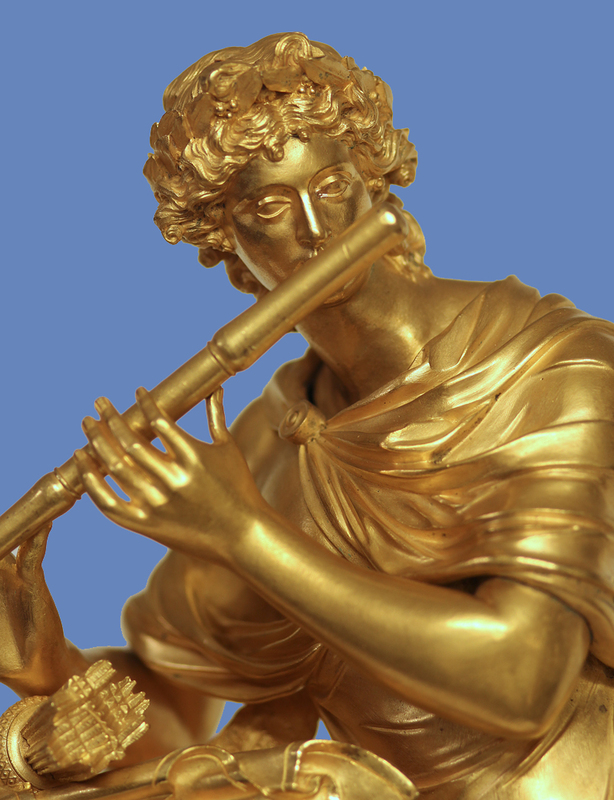 Orpheus, the son of the river god and a legendary Thracian poet, was famous for his skill with the lyre. It was said that his musical skill was such that he charmed not only the wild beasts, but also the trees and rocks. 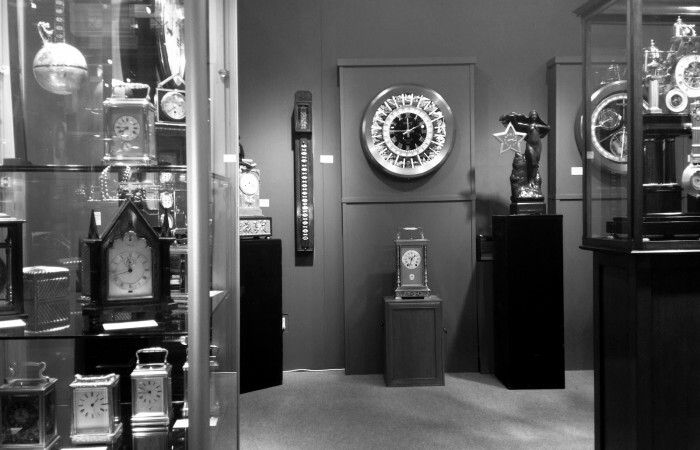 For a similar clock see: ‘French Bronze Clocks’ by Nieuser, pg. 68.